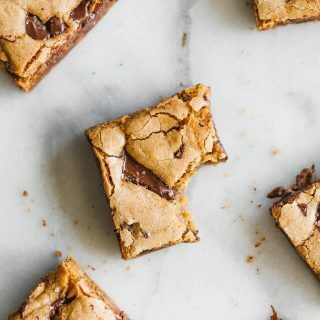 Incredibly soft, moist, thick and chewy chocolate chunk cookie bars made with coconut oil instead of butter, all in one bowl! To be honest, I’ve been DYING to share these with you for weeks now. After making these for my friends a few weeks ago, I shared them on Instagram Stories. I asked if you wanted the recipe and you all said YES. Are you following me? 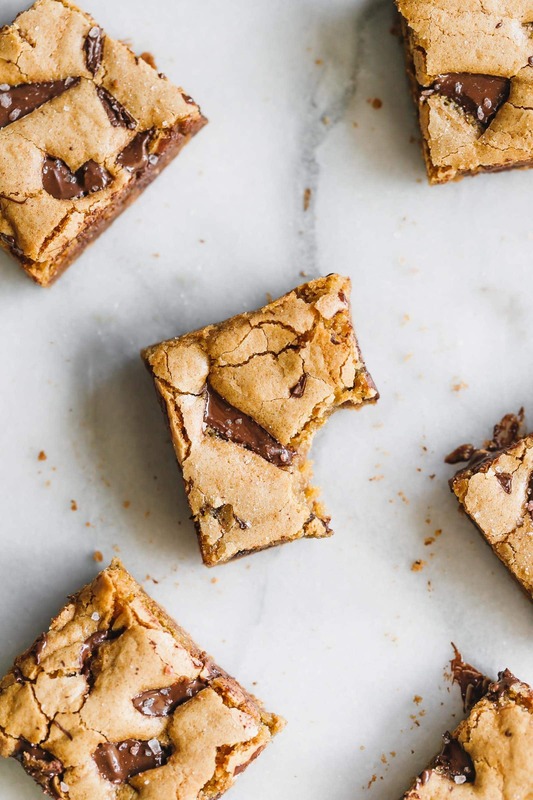 These coconut oil chocolate chunk cookie bars are dairy-free. They are made with coconut oil instead of butter. And you can make them in ONE BOWL. 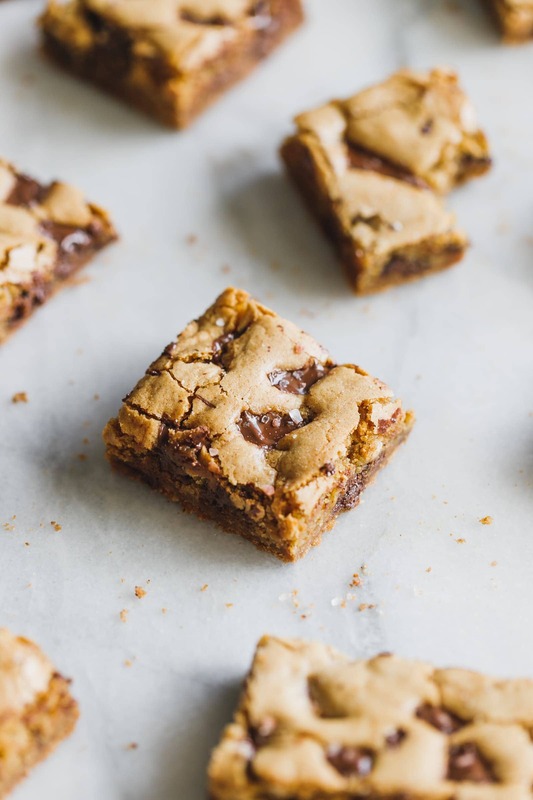 To make these cookie bars, you mix all the wet ingredients first in a bowl – coconut oil, brown sugar, egg, and vanilla. Make sure your coconut oil is cooled. Warm/hot coconut oil will literally cook your egg. GROSS. Nobody wants that. After that, you mix in your dry ingredients – flour, baking soda, baking powder, and sea salt. Careful not to over mix. Fold in chocolate chunks and that’s it! These cookie bars do have a slight coconut-y taste but it’s not intense at all. They are super soft and chewy which is how all cookie bars should be! Pretty sure you have all these ingredients at home right now so GO MAKE THEM! Preheat oven to 350 degrees F. Lightly grease and line an 8x8 baking sheet with parchment paper. In a bowl, mix coconut oil, brown sugar, egg and vanilla together until well combined. Add flour, baking soda, baking powder and salt. Mix until just combined. Don’t overmix. Fold in chopped chocolate. Transfer mixture onto prepared baking sheet. Bake for 20-22 minutes or until edges are slightly golden brown. Sprinkle with sea salt. Serve and enjoy!